Recently my dear friends Scott and Setra got engaged. I have been in awe watching this extraordinary couple along this path and am incredibly over-excited they’re going to marry. Thanks to the Federal and DC government, their marriage will be recognized by The Authorities. Of course the first thing I did was design a card for them. I wanted to include elements of their background. Scott has Italian heritage and Setra is Indonesian. 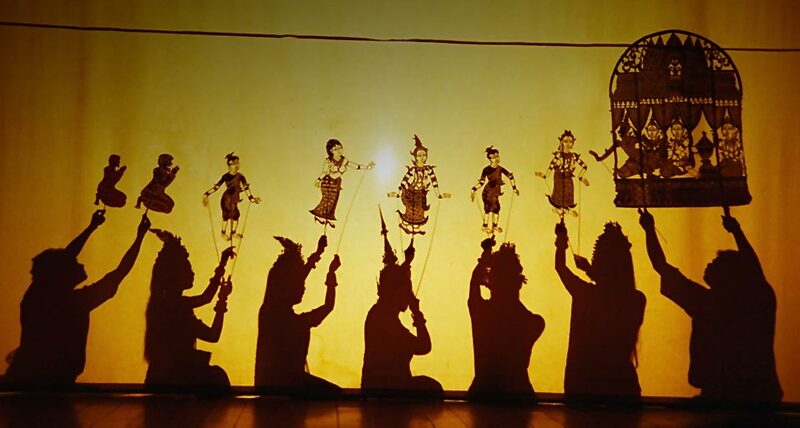 While rooting about it came to me – Indonesian Shadow Puppets: such beauty, such drama, how utterly right. The beauty of these puppets reflected on a shadowy cloth was the perfect backdrop. The next decision flowed easily – Commedia dell’arte, that Seventeenth Century Italian improv theater with stock charaters – figures we enjoy today like Harlequin. 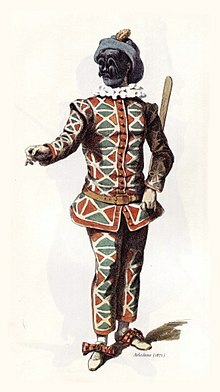 In fact, I would say that Scott has a bit Arlecchino in him … . I put this together in a dramatic black and white vignette, complete with spotlight! You know what comes next – typography. A typeface that was almost carved – quite ornate, like Indonesian wood, did the trick. Then I created a pattern for the letters that evokes batik – the glorious Indonesian technique for dying cloth using wax. Lastly, I found an appropriate quote. I gave this card to Scott and Setra with a bag of gingerbread stars I made and iced with an ‘S’. Let me tell you, there was icing everywhere – coming out the top of the bag, getting all over the show. I barely have an icing learner’s permit. It all came together in a card that stands out and fits their personality. I successfully brought together personal details, art history, and ethnic styles into a design that is fresh and arresting. When you work with me, there’s a wealth of background and understanding that helps create exactly the look you’re looking for.